A diabetes screener that measures the autoflorescence of the crystalline lens enhances your ability to identify diabetic patients early and non-invasively. Expand your medical eyecare services and provide a higher level of care. UNDERSTAND SCREENER TECHNOLOGY. Diabetic screeners measure autofluorescence of the crystalline lens of the eye. Elevated autofluorescence measurements can indicate diabetes. COMPUTE COST & ROI. The unitcosts around $30,000 or runs $720 in monthly lease payments. RECOMMEND FOR ALL PATIENTS 20-70. Most patients are interested to know whether their eyes show signs of diabetes. Discuss theconnection between eyes and overall health. Diabetes is a condition that is on the rise in the US. Nearly 26 million Americans have diabetes, according to the American Diabetes Association. With so many diabetic individuals, a good number are bound to make it to your exam chair–if many aren’t there already. For that reason, a diabetes screener, such as the ClearPath DS-120, which my practice added in September 2013, is an important instrumentation addition. It allows us to identify diabetic patients early and non-invasively. In today’s competitive optometric world it is important to go above and beyond other practices–and advanced instrumentation is one way to do that. I also wanted to show and prove why we are the best eyecare specialist to help our patients stay healthy and live a long life. Offering screening of the eye that relates to systemic conditions like diabetes also enables us to create a concierge-style office where we are our patients’ friends, not just their doctor, looking out for what their eyes tell us about their overall health. Here are the details on how and why I invested in this new piece of technology, including cost considerations. The ClearPath DS-120 measures autofluorescence of the crystalline lens of the eye. In independent scientific studies published in peer-reviewed journals, elevated autofluorescence measurements have been linked to high levels of advanced glycosylated end products, which accumulate in the presence of diabetes and uncontrolled glucose over time. Eyecare providers, on average, see almost three times the number of patients a primary care provider sees for annual physicals in one year, making the eyecare provider a key player in the front lines of diabetes detection. By detecting early and co-managing diabetes with a primary care provider, eyecare providers will be able to recall the patient twice annually under American Optometric Association guidelines and receive reimbursements for quality of care. This diabetes screener cost my practice $32,000. I decided to lease it at $720 per month beginning in September 2013. I feel this is an investment for the office to take our exam to a higher level. We upped our exam fee by a total of $25 to cover the cost. That equates to 29 patients per month needed to break even on our investment. We include this test in the comprehensive exam. I have about30 percent private pay, so I calculated that we easily can cover the cost of the lease and give our patients the best exam possible. Part of the profitability stems from satisfied patients passing on referrals of my practice. Happy patients and word-of-mouth referrals both from patients and primary care physicians is financially valuable as a practice-builder. We give patients a print out of their screening image to take to their primary care physicians, enhancing our relationship with their MD while offering an additional service to patients. We have an Optos unit, and when we explained both that instrument, as well as the diabetes screener, to patients, they told us they would pay for one or the other but not both. Also VSP states we can only charge $39 for Optos. So, I felt this was an important enough test to, again, increase the exam fee and include the test. The diabetic screener has been very well received by patients—they love it. We sometimes are able to use the billing code 92499–a non-specific ophthalmic code–to get reimbursement from insurance companies for diabetic screening. I recommend diabetic screening for the eyes for all patients between ages 20-70 with or without diabetes. 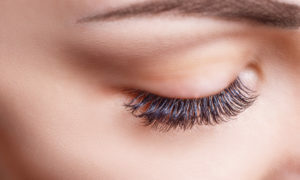 Patients are very interested in knowing if their eyes show signs of diabetes, and nearly everyone has a family or friend with diabetes, so everyone wants to know if there are signs that they have it, too. Interest in the impact of diabetes on the eye also is a great lead-in to discussing the importance of Optos and annual exams. Diabetic screening is done as part of the pre-testing and then sent to the exam room and the print-out is attached to the chart for me to review with the patient. It takes about one to two minutes at most, but again, this shows the patient we care and are interested in their total health, not just the eyes. The scan itself takes approximately six seconds. My conversation with the patient is important, but brief. We talk about how out-of-control blood sugar can lead to vision fluctuations and possible problems including diabetes, and how keeping sugars in balance is so important for their vision and lifestyle. By looking at the report they can see for themselves how well they are doing this. They are impressed that our scope of practice is beyond just vision. Having a diabetes screener puts ODs in the position of taking readings vital for primary doctors to have on file. The technology enables both the OD and general practitioner to identify diabetes sooner, and, therefore, implement treatment sooner. This early treatment can limit long-term complications from the disease, making a good outcome for the patient more likely. By performing a science-based risk assessment for diabetes, the eyecare professional is not strictly making a diagnosis, but is providing invaluable information that may influence what lab tests are ordered by the primary care provider (PCP). 2. The patient never showing up for the eye examination. We started a program where my associate, Matthew Geller, OD, spends time each month educating the local area PCPs about our office’s diagnostic technology so they are receptive to receiving the high-level AF patients that we are referring to them. In addition, to gain their patient referrals, Dr. Geller has produced a great pamphlet about our practice emphasizing our medical services and expressing to the PCP our desire to co-manage their diabetic patients to ensure their patients receive an annual eye exam and a report. Through our report and their referral to us of their patients, they improve their HEDIS scores and value our partnership. 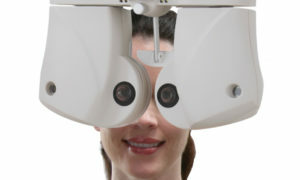 Eric M. White, OD, is the owner of Complete Family Vision Care in San Diego, Calif. To contact him: Emwhiteod@aol.com.